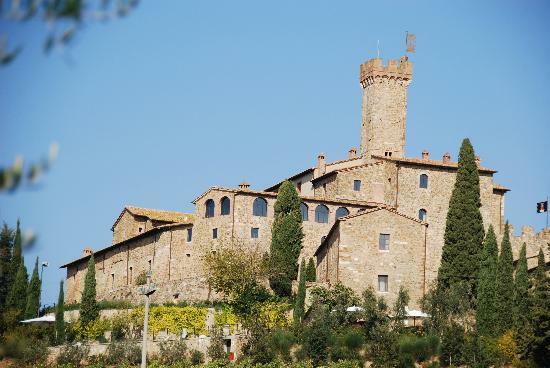 About 15 minutes south from the center of Montalcino, in the bucolic Tuscan countryside, sits Castello Banfi gracefully perched on a hillside surrounded by sloping vineyards. 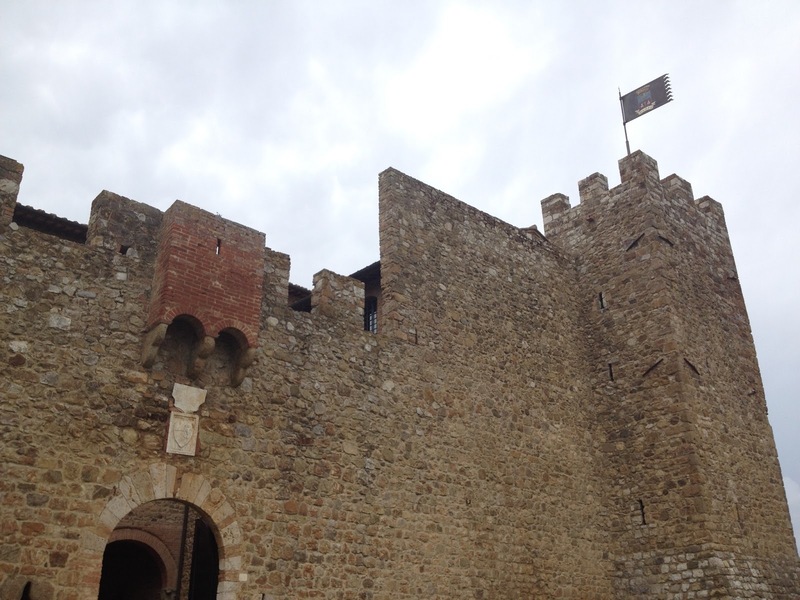 Home to the largest Brunello producer in Montalcino, Castello Banfi crafts an array of estate grown wines. One of those wines is Belnero, a project personally spearheaded by CEO and family proprietor Cristina Mariani. 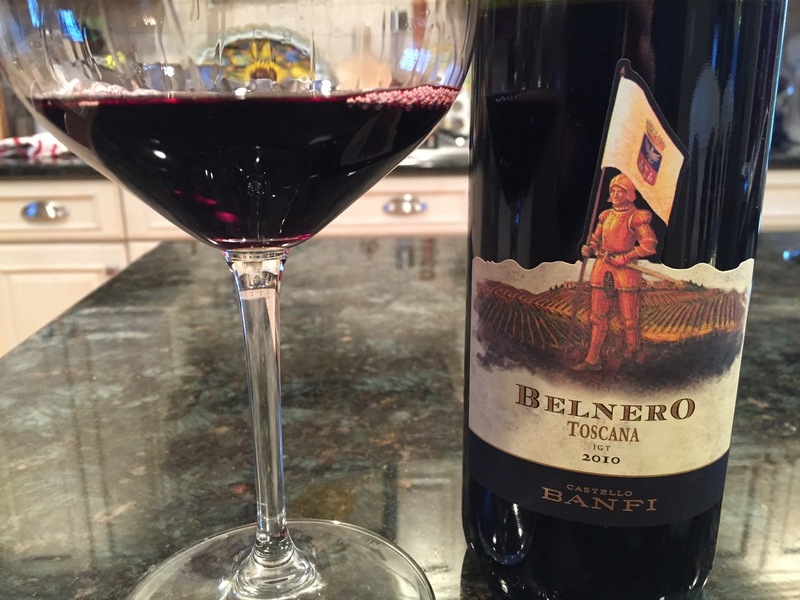 Recently, I tasted the three most recent vintages of Belnero and joining us today to discuss the project and the happenings at Castello Banfi is Cristina Mariani. Cristina, grazie for your time. Welcome to Tuscan Vines! Prego Giovanni, always a pleasure. Since you’ve taken the helm at Castello Banfi, many significant changes have occurred at the estate. Among them, the completion of your clonal research project, the addition of Il Borgo, and the completion of the new gravity fed winery with the patented fermenters. What do you look back upon as the most significant development to date? Easily the most significant to development to date is how the management team has worked more closely together on a plan to weave together the various elements of our innovation to ensure that the best quality wines are created while being sensitive to offering great values at every level and always meeting the desires of the consumer. The team is among the best in the industry and we all know that in the wine world we rely upon Mother Nature but also the people behind the wines. 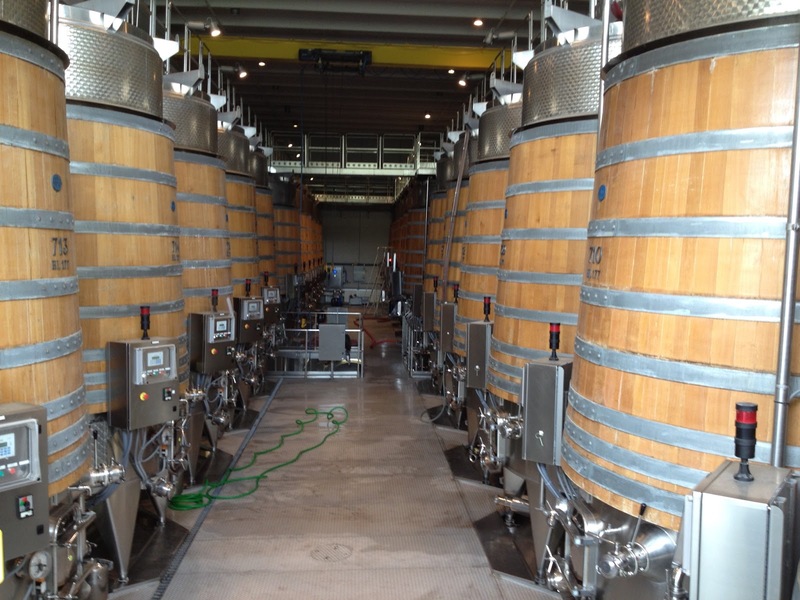 Our team has worked tirelessly to focus on research in the vineyards (clonal work, varietal choices and site selection) as well as in the winery with our uniquely designed hybrid fermentation tanks. Il Borgo was rated this year by Conde Nast Traveler as the #9 best hotel in all of Italy. We are so proud of this recognition. This achievement could not have been possible without the team working together to ensure that the quality standards at Castello Banfi are the highest in the world. Also, As you know Castello Banfi was the first winery in the world to receive triple certification from ISO: it reveals how we have worked together with our community and people to respect the environment and social aspects of the industry. To us, it is not just an award on the wall – it is confirmation that we are on the right path and affirmation that we should continue our pursuit of excellence! 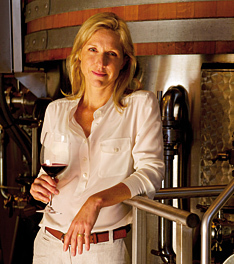 You’re CEO and Proprietor of a major wine producer in one of the premiere winemaking regions of the world. It’s a region and business steeped in tradition. What challenges or disadvantages have you faced as a woman, and an American woman no less, in Tuscany? Was there an acceptance or credibility issue? Though I am American by birth I am Italian in my heart. I have always felt a natural tie to our Italian colleagues and that has tremendously helped our relationship. We all share a true passion for wine, stories, history, science and travel. Being American with a long history as merchants of fine wine has given us a great advantage. We have the most highly competitive market in the world and we’re able to share our learnings from the US with our Italian and global colleagues as well as importers in other countries. This knowledge is a unique asset, coupled with our global network of suppliers with whom we work through our US importing company. We constantly share ideas, concepts and best practices. The greatest challenge I personally face being a woman in international business is juggling travel with three little kids at home. It’s exhausting, but rewarding. When I’m home I am very focused on the kids and the US market needs; while abroad I get to satisfy my wanderlust and expand our global network which is so important in the business world and to the future of Castello Banfi. Three young children….Good thing you’ve got wine to drink! Ha! For sure Giovanni. It’s never dull that’s certain. Va bene. I’ve followed Castello Banfi for a long time, yet I was mostly unaware of the significant investment Castello Banfi has made on it’s estate regarding things like the breeding of Amiata Donkeys, ancient whale fossils, and the commitment to forestry preservation. 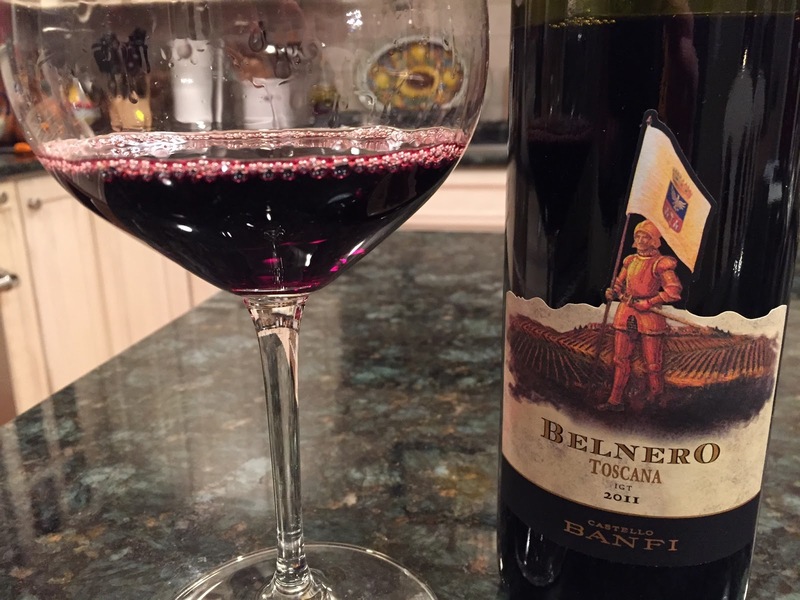 What don’t people know about Banfi? 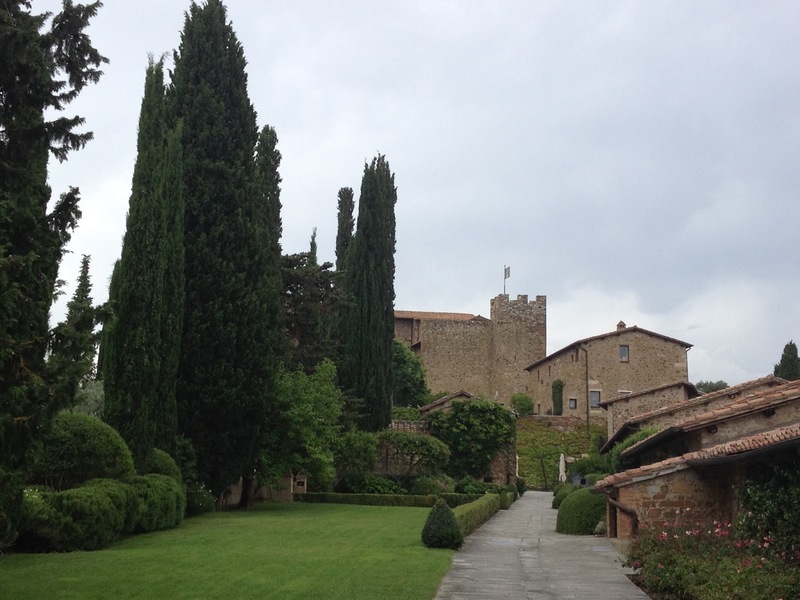 That, Giovanni, is the beauty of the wine world and the beauty of a wine estate like Castello Banfi. There are creative, passionate people behind our wines, and a sense of the place. They speak of an agriculturally integrated estate that is a constellation of single vineyards that reflect our varied and ancient mix of terrains and the different varietals that grow so well in each one. When I taste our wines I see our vineyard manager and our winemaker; I see the smiling faces of our guests, the sheer magnificence of the countryside around Montalcino, the magical sunsets over the gently rolling hills, and so much more. All of us have a keen sense of hospitality because we love to share this special place. Let’s talk about Belnero. You’ve championed this wine from it’s origins since the 2005 vintage. It’s near and dear to you. What makes this wine special to you? What sets it apart from other Sangiovese based wines? I enjoy it too – as evidenced by my reviews below. I think what strikes me about it most is that Belnero has the ability to showcase a certain degree of complexity, similar to that of a Brunello, but displays an elegant accessibility in its youth. That’s well put Giovanni, I agree! Here’s your chance to explain to my readers: Why not just make a great single vineyard Brunello from the fruit destined for Belnero? Even though the percentages are small why add Merlot or Cabernet at all? Does it differ legally from Brunello in other ways besides the inclusion of the international grapes? Very simple, Giovanni – mother nature has given us a broad palette of colors to paint with. We love and deeply respect the pure expression of Brunello, as evidenced from our crus and riservas as well as Rosso di Montalcino, but at the same time we see the opportunity to make other unique expressions from this very special place with its broad range of soils, altitudes and microclimates. Besides, the grapes for Belnero are grown in a different way, with different yields and a different expressions, so it is not as simple as just switching it over to Brunello. Belnero is a wine that legitimately has something to say, and it says it with a beautiful Montalcinese accent! One can always emulate or be inspired by others. Even a producer as large as Castello Banfi. Who’s Brunello inspires you? I love the Brunello of people whom I respect and adore as friends. An inspirational producer is Giacomo Neri. A wonderful man who makes beautiful wines. I also very much like Poggio Antico and Siro Pacenti. Again, hardworking and dedicated people who inspire us, and there are so many of them in our community! Belnero, loosely translated as “Beautiful Dark One”, is predominantly Sangiovese produced from vines specifically identified in Castello Banfi’s clonal research project as being optimally suited for the microclimate. Belnero is almost entirely Sangiovese, but typically has a small percentage (less than 10%) of Merlot or Cabernet blended into the wine. Fermentation takes place in Castello Banfi’s patented hybrid fermentors and the wine is then aged in French barrique, only 30% of which are new, for 14 months. At least 6 months bottle aging is employed prior to release. First produced in 2005, it is easy for me to see the development in this wine since that time. As the vines mature, the wine has grown to show more complexity, more finesse and more elegance. In the glass, the wine is a dark crimson red with violet overtones. At once the nose is redolent with crushed berries, flowers, and a lovely dusty “Tuscan road character”. It evokes an image. On the palate, the wine carries itself broadly, with long lasting waves of crushed black cherry fruit that are spicy, juicy and well delineated. It has a tinge of black olive and a tobacco like sweetness. Shows lots of freshness in this hotter than optimal vintage. 90 points. From what is fast becoming a legendary vintage in Montalcino, the 2010 is deep purple in the glass trending toward a saturated garnet ruby color. The aromas are gorgeous with ample crushed plum, warm road dust, cured olive and fresh tobacco. Really interesting to smell and it kept me going back to the glass. On the palate, the wine is much more primary. There’s a solid core of elegant black plum and berry wrapped in spices and a pleasing black olive notes. Hint of rosemary on the finish. The balance is wonderful and the ripe tannins assert themselves on the finish. This is delicious but needs cellaring to round out the tannins and develop more complexity. An interesting comparison side by side against the more advanced 2009. Give it 3-5 years in the cellar. 92 points. On the heels of 2010 comes 2011, a vintage that not many are paying attention to at the moment. However, in Chianti Classico and Maremma the weather was wonderful and many have rated the vintage on par or ahead of 2010. Time will tell how it bears out for Montalcino but if this wine is any indication, things look promising. The 2011 is a gorgeous deep ruby color with violet highlights. It seems “brighter” than the previous two examples. In the glass, the aromas are penetrating. Crushed red fruits, fresh flowers, exotic baking spices, and sweet tobacco are perfumed and persistent. On the palate, the wine is elegant, fresh and vibrant. Juicy red fruit flavors are accented with dusty cinnamon, pipe tobacco and a slight touch of mocha. Balanced well, this is approachable right now but will easily cellar for 5-7 years. 91 points. In wrapping this up, I think an important take away from these tastings is the absence of a notable flavor profile from the international varietals in the blend. These wines behaved like classy Sangiovese and represent a singular expression of the Montalcino microclimate that is notably different from Brunello. The vagaries of each vintage were easily discernable in the three wines and in better years like 2010, Belnero acheives a level of complexity and power that approaches Brunello. That brings us to the value aspect. For a multitude of reasons pertaining to the oddities of the wine market, pricing fluctuates widely on this wine. I’ve seen vintages for as low as $17 and as high as $30. So shop around. While it’s a relative bargain compared to Brunello at $30, it’s an absolute steal compared to similar Sangiovese wines under $25. Under $20, I’d buy by the case.